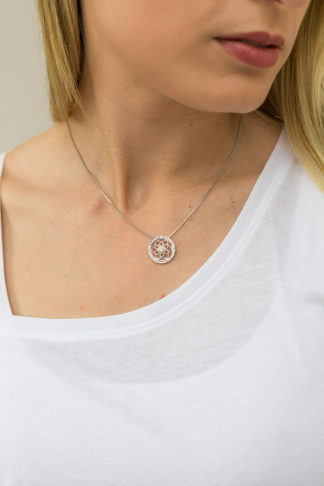 Yin Yang themed jewellery represents inner balance. This piece of jewellery has come into your life to bring you balance. Yin Yang means neither part is superior to the other, an increase in one brings a corresponding decrease in the other, a correct balance achieves perfect harmony. 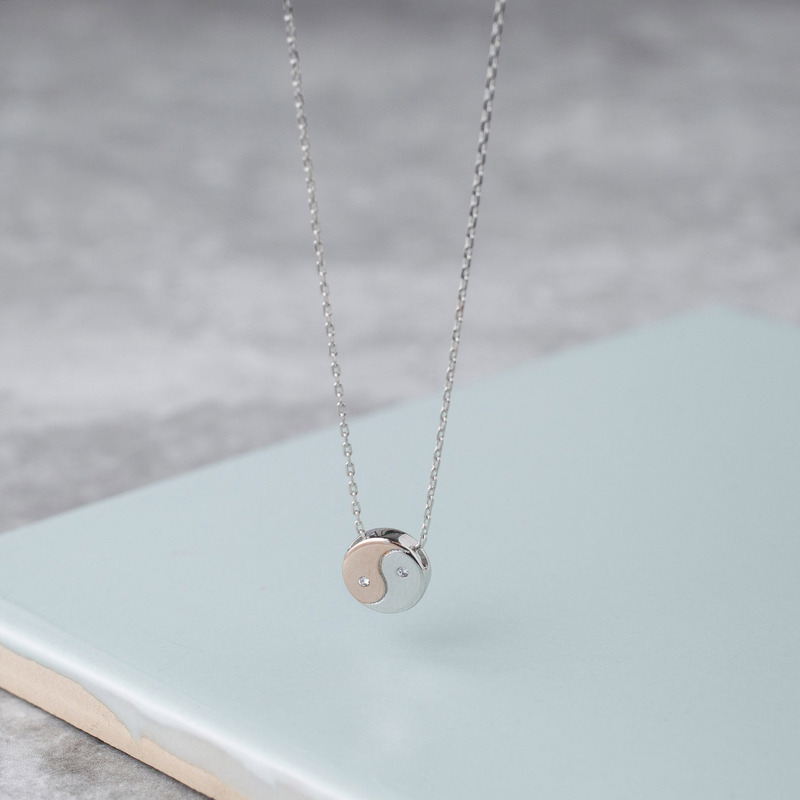 Find a peaceful moment and put the corner stones of your life into perspective, your Yin Yang jewellery will be the symbol and visual reminder to help reach your goals. Remember, change is a single thought that can start a whole catalyst of events and that single thought can change destiny. One step at a time you can reach perfect balance in all areas of your life. 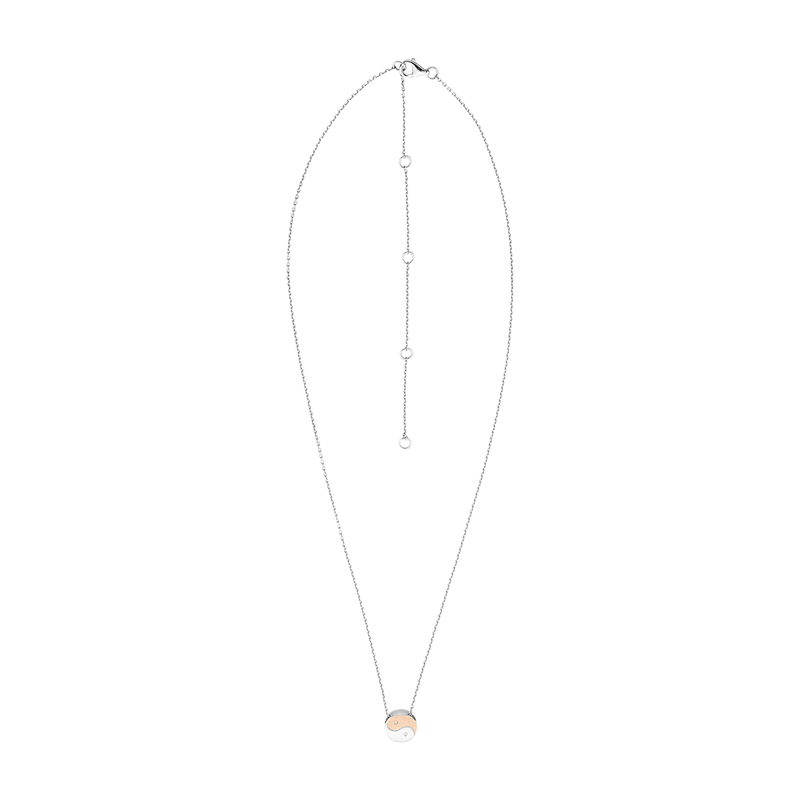 952 solid Sterling silver necklace and pendant with white gold and rose gold plating (0.3 microns) and CZ (cubic zirconia) stones. This fashion forward piece can be worn to layer up your necklace as it has 5 different settings; it can be worn as choker at 16 inch or worn as long as 21inches. 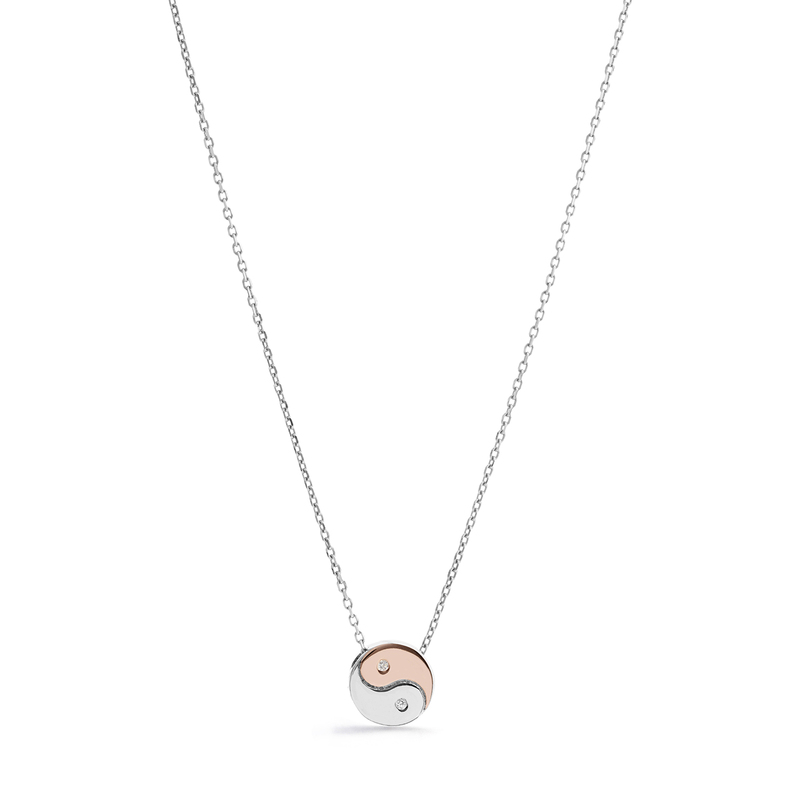 Yin Yang pendant – 1cm. All of our jewellery pieces include gift wrapping, a beautiful message card to match the affirmations and a luxury gift box tied with a satin ribbon. 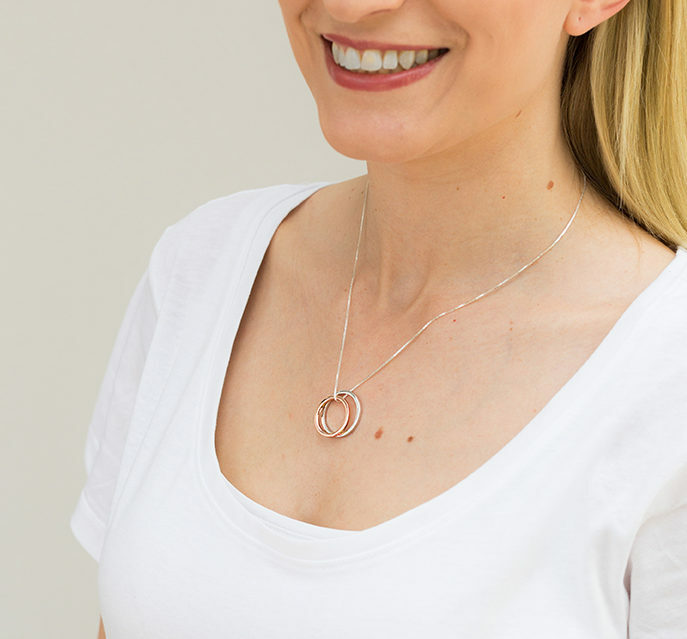 I bought my necklace and matching earrings yesterday and love the simplicity of style with perfect meaning described so beautifully by Clover. Looking forward to seeing the new complimentary range out soon!